Monmouth County native Taylor Tote is releasing her debut EP in style, with a performance at the beautiful Two River Theater in Red Bank, NJ on February 20, 2015. In addition to the EP release, Tote will also be celebrating the world premiere of her new music video, "Superman". Read our interview with Taylor and make sure to listen to her music! "Music is something I believe I was born to do." Monmouth County native Taylor Tote‘s dream is coming true. She’s celebrating the release of her debut EP in style, with a performance at the beautiful Two River Theater in Red Bank, NJ on February 20, 2015. In addition to the EP release, Tote will also be celebrating the world premiere of her new music video, “Superman” during the night. Check out the video below! I never actually got started with music. Music is something I believe I was born to do. I’ve been doing this before I can even remember. It’s so weird and hard to explain but I just know that this was a gift and I’m suppose to do it. I just came into the world doing this, knowing how to do it, and wanting to do it. Are you writing your own songs? I’m definitely writing my own songs! A majority of the songs I sing are my own and I write my songs based on real and true experiences. For me, there’s no other way to write. I have to be motivated and inspired by something. But that’s what makes it great because then that way, people not only connect to it, but they learn who I am and learn what my story is. What have been your proudest moments so far? I’m extremely proud of finishing my EP and filming my video. Not only doing that but doing that with the team I worked with. I’m so proud of myself for getting to this point and knowing that all these incredibly smart and talented people backed me up. In addition to that, singing at MSG in the summer made me really proud of myself. If you could sing a duet with any artist in the world, who would that be? People would probably be really surprised to know that I’m a huge Hall and Oates fan. If you turn on any of their songs, you will be sure to get me in an extremely good mood. Their music has such a great vibe and makes me genuinely happy. So if I would have to do a duet with anyone, I’d choose Darryl Hall. He has one of the greatest voices I’ve ever heard and it would be a real honor to sing with him. After my EP release show, hopefully someone in the industry will notice me and hopefully people around the world will notice my music. I’d like to tour as soon as possible and make people feel good through something I love to do. 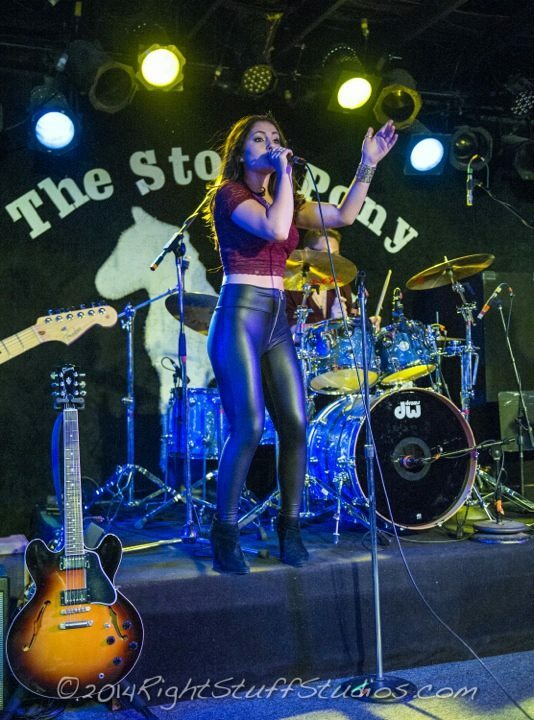 Taylor Tote, who has been a big part of the Jersey Shore music scene for the last several years, was first noticed with her former band Ardvark Smile as lead singer and songwriter. That band received Asbury Music Award nominations and won the Rock to the Top competition in 2013. Taylor was first nominated for Top Female Vocalist as a member of Ardvark Smile and received several other nominations after breaking off from the band and becoming a solo artist. 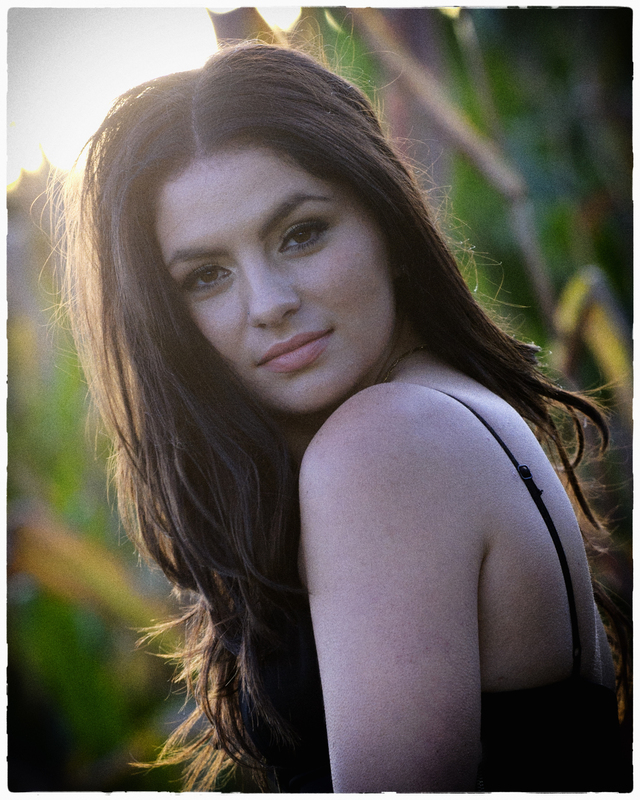 Since forming her own band she has opened for major acts like John Cafferty, Southside Johnny, and Val Emmich. Her band includes lead guitarist Tom Briant, Anthony Flora on drums, Nick Piescor on guitar, and bassist Julian Michalski. Taylor grew up in Tinton Falls and is a 2013 Monmouth Regional High School Alumni. Photo credits: Right Stuff Studios.